Length 1.5-1.8mm. 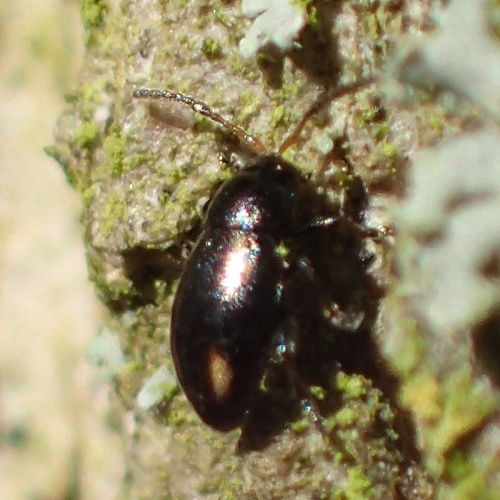 This tiny beetle is mostly black apart from two triangular yellowish spots on each elytra, occasionally connected into a band. The elytral shape is broadly elliptical and convex. Legs usually black with reddish tibia and tarsi. 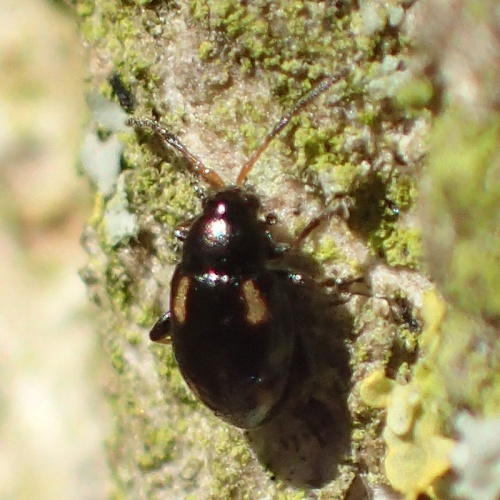 The antennae are ochreous at the base becoming black towards the tips. Antennomere 5 is modified in both sexes. In males it is thickened and usually darker than 6. 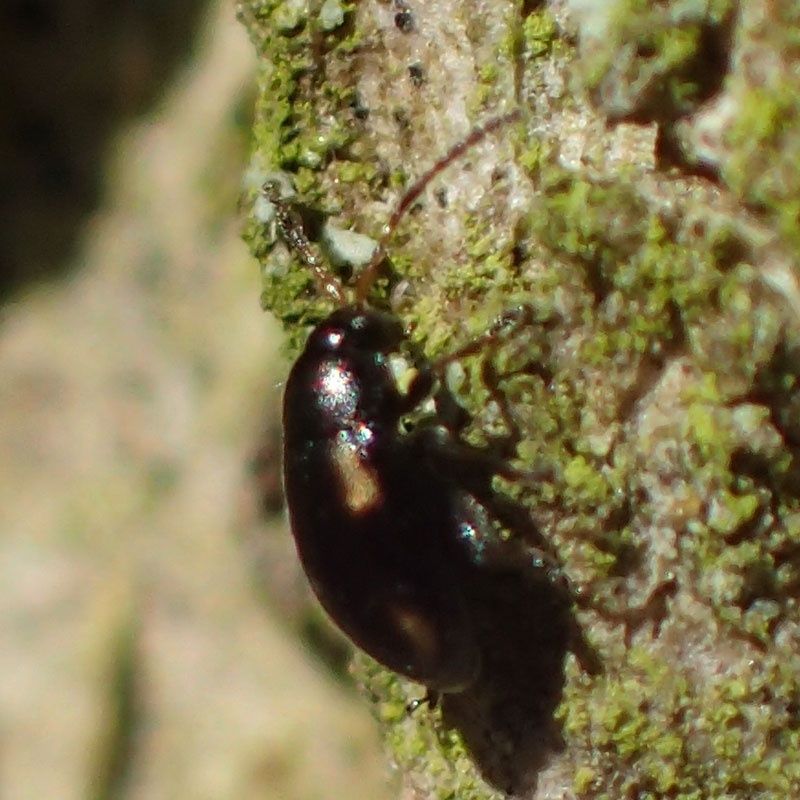 In females it is elongated (longer than 4 or 6) and again, often darker than 6. Various habitats, with or near water. Feeds on various Brassicaceae, especially Nasturtium, Rorippa and Cardamine species. Overwinters as an adult in grass tussocks, moss or under bark. Some adults are brachypterous, in which case they are flightless. Widespread in England, Wales and Northern Ireland. Rare in Scotland. Fairly common in Leicestershire and Rutland. There were 21 records for the species to the end of 2015.